Urinalysis refers to a group of tests conducted on urine sample to determine the various chemical components of the urine. Urine analysis is an examination of the urine sample that gives useful information regarding the renal and metabolic disorders, kidney or urinary tract infections, diabetes and host of other diseases. Urinalysis does not diagnose the disease itself, rather the presence of abnormal substances in the urine that will help direct the course of further evaluation and diagnosis. Depending upon the symptoms reported, urinalysis is conducted in three different phases. Color: Normally urine looks pale yellow; any change in the color of the urine indicates some abnormality, for example dark yellow urine indicates dehydration whereas bile pigments cause brown urine. Urine turns red when there is blood in the urine. Sometimes consumption of certain foods such as blackberries, rhubarb and beets turns the urine red. Clarity: Normal urine is usually clear, cloudy urine indicates the presence of bacteria, blood, sperm, crystals, or mucus. Odor: Normal urine has a nutty odor to it whereas diabetes gives urine a fruity odor and bacterial infections lead to bad odor of the urine. Chemical examination is normally conducted with the help of the dipstick. The change in the colors of the different pads on the dipstick indicates varied health conditions. pH balance: pH balance measures the acidic and alkaline balance of the urine. The lower or higher pH indicates kidney disorders. pH balance can be changed by consuming the appropriate diet. Protein: Protein test normally involves examining the albumin levels in the urine. 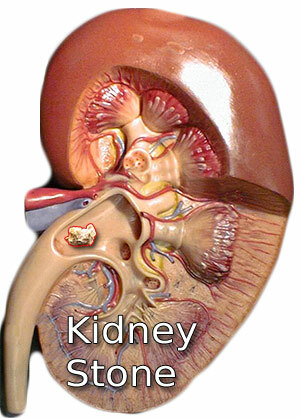 The elevated albumin level is the initial symptom of kidney disorder. Glucose: Higher glucose levels in the urine is associated with diabetes and other conditions like hormonal disorders, liver disease and pregnancy. Ketones: When the body does not get enough carbohydrates, it starts metabolizing the fats to gather energy and in process releases ketones into the urine, thus indicating the low levels of insulin. Blood: Urine is also tested for the presence of red blood cells. Various kidney and urinary tract diseases and trauma, injury, medications, smoking, or strenuous exercise lead to the contamination of urine with the blood. Nitrites: UTI or urinary tract infection changes the urinary nitrates into nitrites. Therefore the presence of nitrites indicates the presence of UTI. Likewise urine is also tested for Leukocytes as they too indicate the presence of UTI. If the urine shows red or white blood cells, it signals an inflammation, kidney disease or an injury of the ureters, bladder, or urethra. Microscopic examination of urine also reveals the presence of crystals. Large number of Crystals in the urine indicates dehydration, pH imbalance, UTI or a condition called Urolithiasis, signifying kidney stone or bladder stones. Urine is also tested for bacteria, yeast cells, or parasites, as any of these organisms in the urine signals infection. Increased quantity of epithelial cells in urine could indicate some health problems.